Hey, everybody! There’s a hotfix coming out later tonight that Mollygos mentioned in yesterday’s blog post that we’ll have more information about once it is released. On the content side of things, us artists are hard at work on the next tier of biomes and missions. 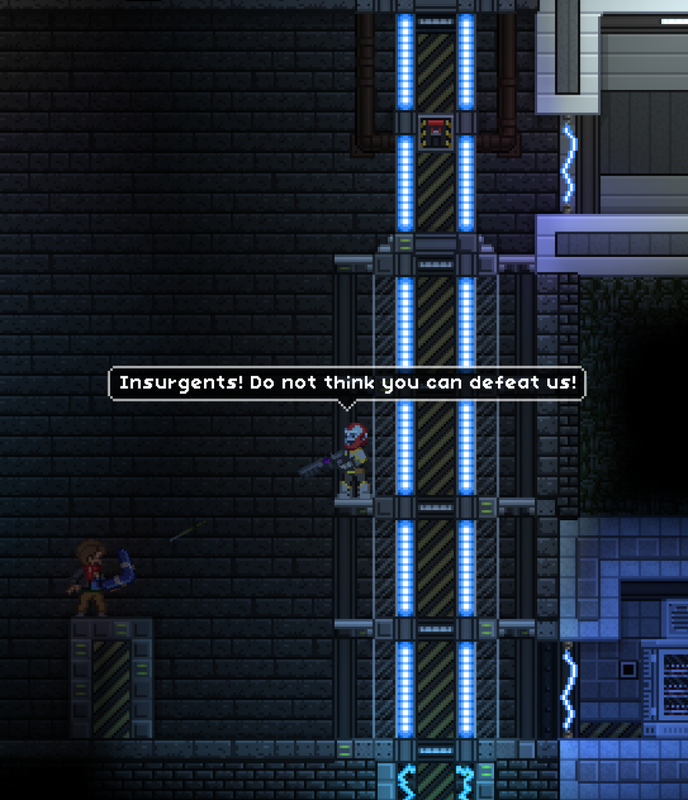 I’ve been working on fixing up some of our unfinished missions so they are in a playable state, similar to how the Floran mission was prior to Pleased Giraffe. As well as being fun to play through, each mission is designed to tell you a bit more about each race’s culture and history. Check out this screenshot of the upcoming Apex mission! What kind of missions would you like to see in Starbound? Tell us what you think in the comments!